Rain, sleet, snow…thunder, lightning, power outages…everything we fear about winter is approaching quickly. You may be familiar to these weather conditions – but unfortunately, being familiar with something doesn’t make it any less unsafe. Harsh weather can be – well, harsh. No matter how “used to it” everyone is, homeowners need to do what they can to keep their families safe from weather risks. One thing that can support the goal of keeping your home safe from the elements: smart home security systems. Harrisburg homeowners have access to real-time weather alerts through their security systems, with the peace of mind that the information is accurate because it’s transmitted from the National Weather Service. As soon as we receive it from the agency, it goes straight to the security panel in your home – and, of course, you’ll receive a smartphone alert. You can get everyone you love to a safe place as quickly as possible, whether that place is inside the home or to another type of shelter. Smart home security systems are designed to protect families first, but they are also designed to protect homes from the damage that comes with harsh weather. With flood sensors and temperature threshold alerts, the risk of devastating flood damage in the home can be reduced. Frozen pipes? You’ll get a low temperature alert that can prompt you to turn off the water, heat the right areas, or take other measures before the pipes can freeze. And whether flooding in the home is from frozen pipes or a leaky roof, the flood detection will alert the homeowner if there is rising water on the floor. Imagine having this protection while you’re away on vacation; you can contact a trusted friend to come over and take care of the issue, to avoid the nightmare of returning home to a flooded house. These are some of the key distinctions between a “traditional” security system and a smart home security system. Harrisburg homeowners who want to learn more can contact us for a free home security consultation. 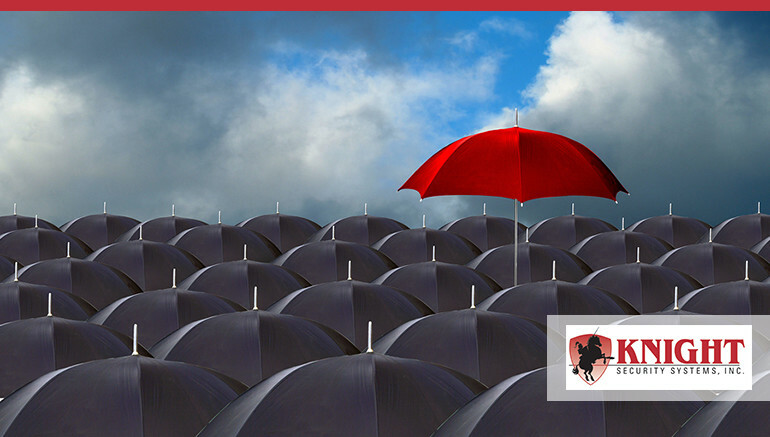 Since 1979, Knight Security Systems has been an independent, owner-operated security company. We help people secure their homes and businesses with electronic security systems in Harrisburg and Central PA.